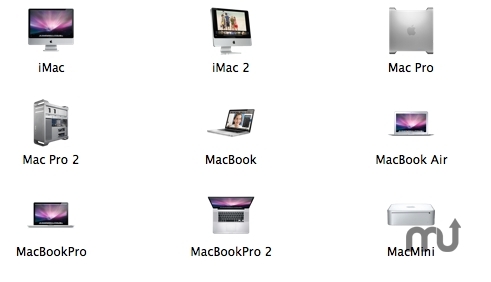 Icon set contains all Macs in stores currently. Is there a better alternative to Mac Products Icons? Is Mac Products Icons really the best app in Icons category? Will Mac Products Icons work good on macOS 10.13.4? Mac Products Icons... The developer of this icon set, Jaesang Lee loved Mac products so much he transformed Macs into icons. He used several product images in Apple store and the products' gallery. Mac Products Icons needs a rating. Be the first to rate this app and get the discussion started! The icons are packed as folders. (Don't need to use CandyBar or etc.) Enjoy the beauty of Mac Products! I used a 17 inch PowerBook G4 and Adobe Photoshop CS4 to complete this icon pack.